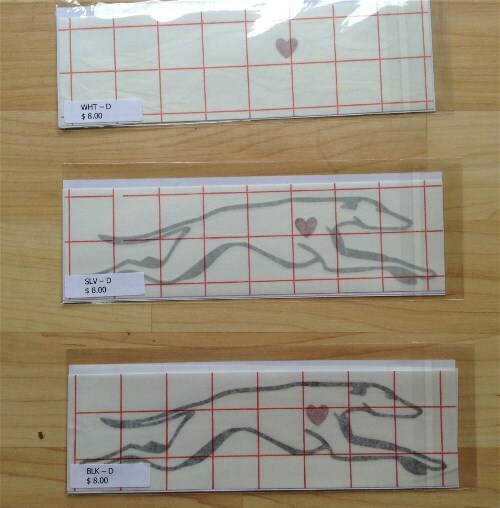 Great window decals of the running greyhound with a red heart. Instructions included. This item has free shipping on one decal. Use coupon code "Decal Free Shipping". Decal is 9" long and comes in Black, White, Silver, or Grey.